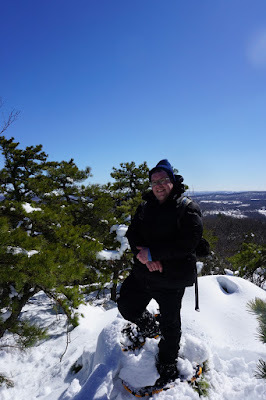 This was my first hike since the very large snowstorm, with two feet of snow. 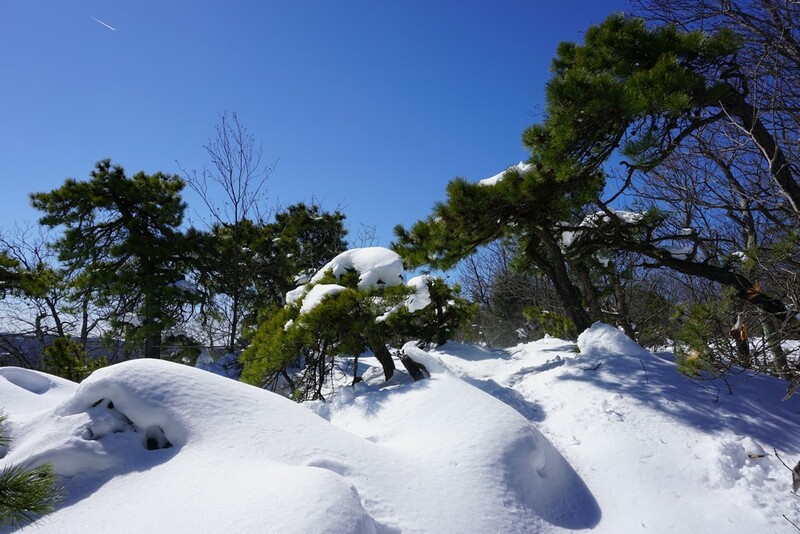 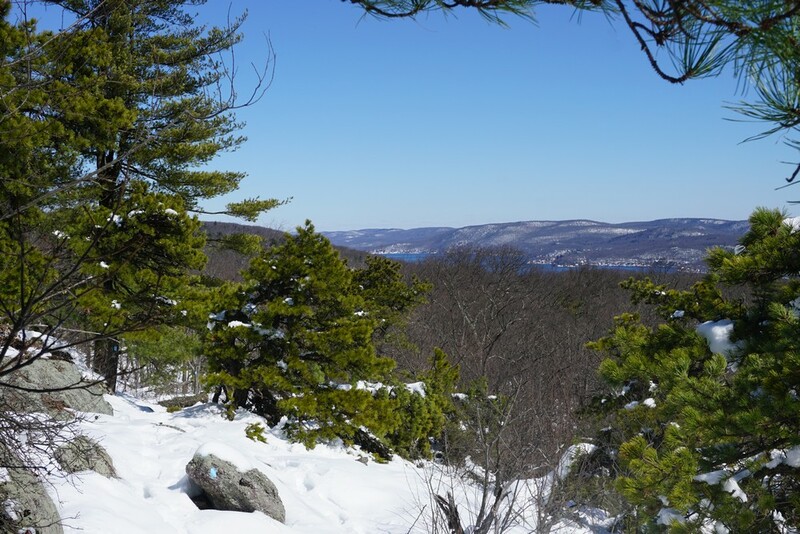 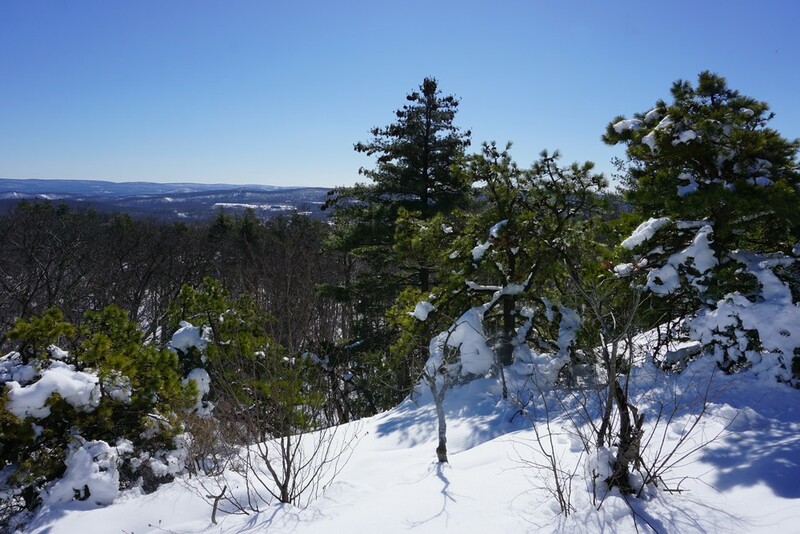 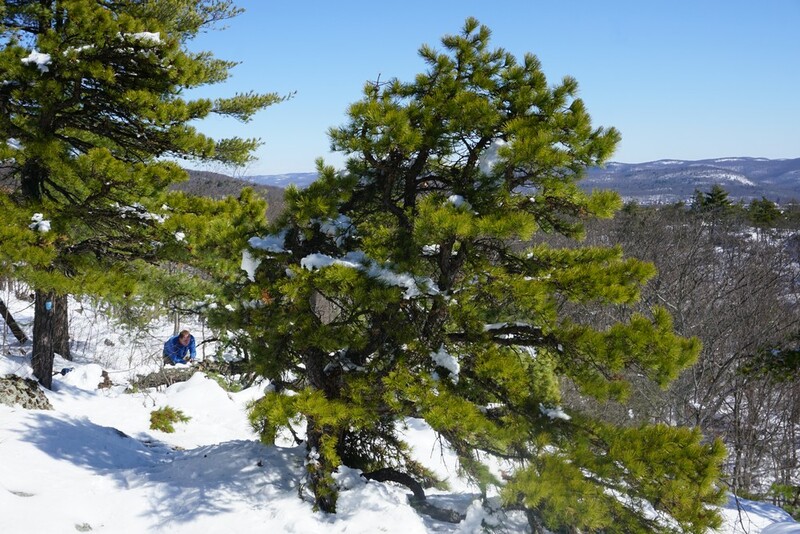 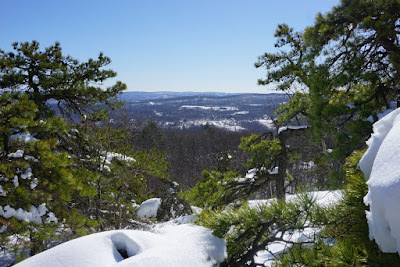 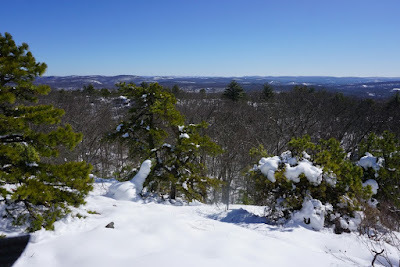 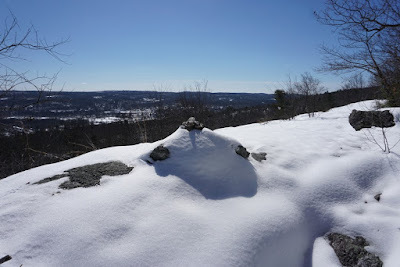 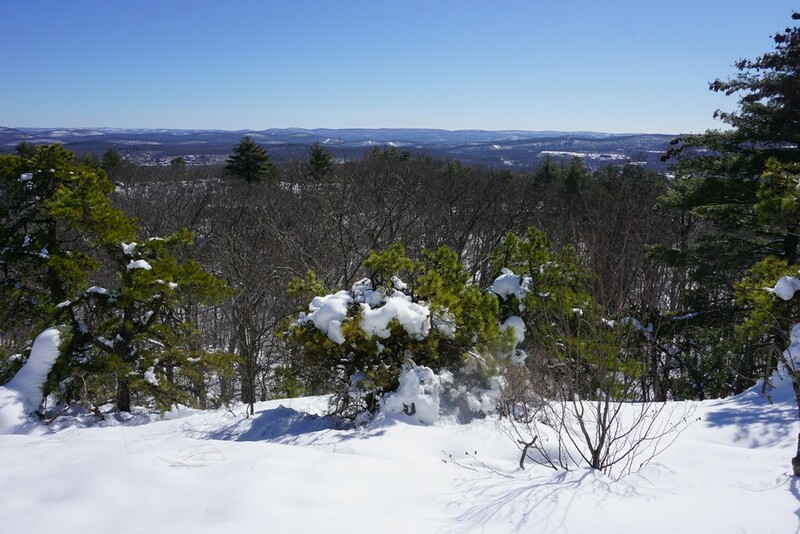 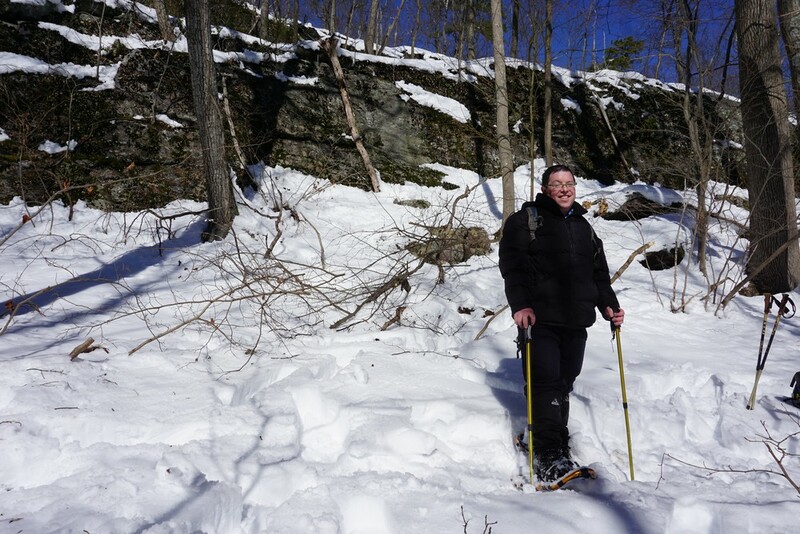 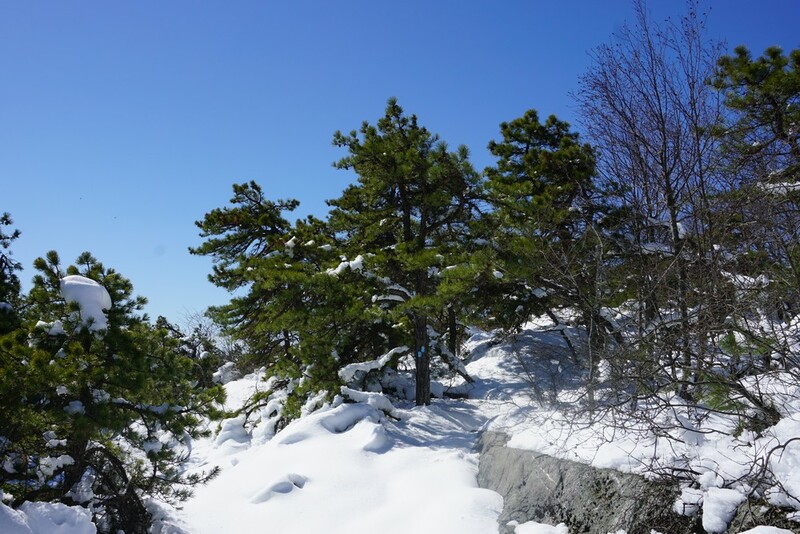 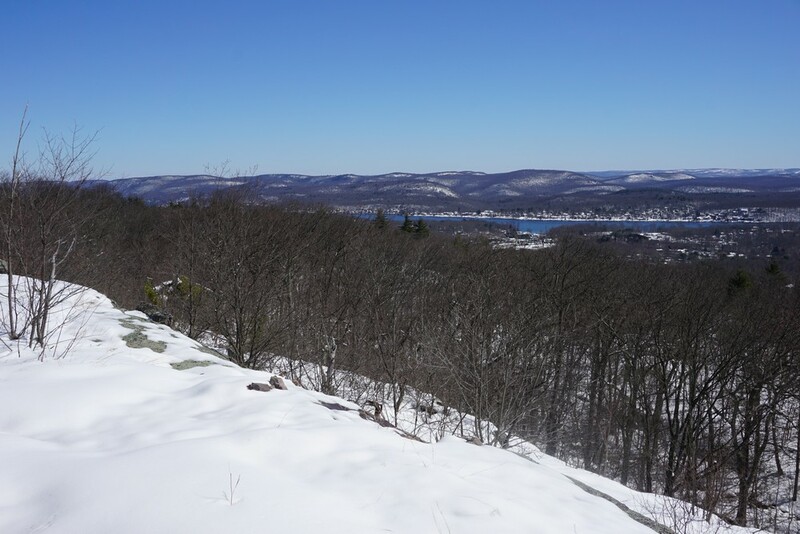 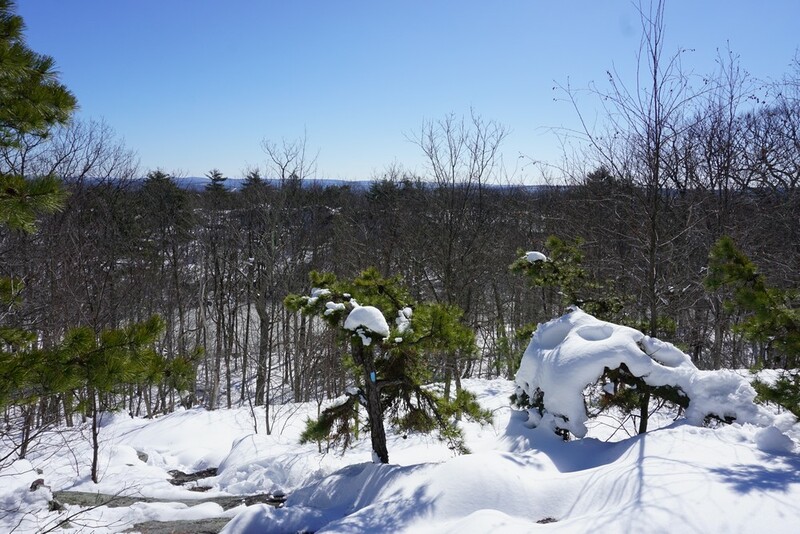 The snowstorm was on Wednesday, and this hike was on the following Sunday, and although very cold, featured a bright blue sky. 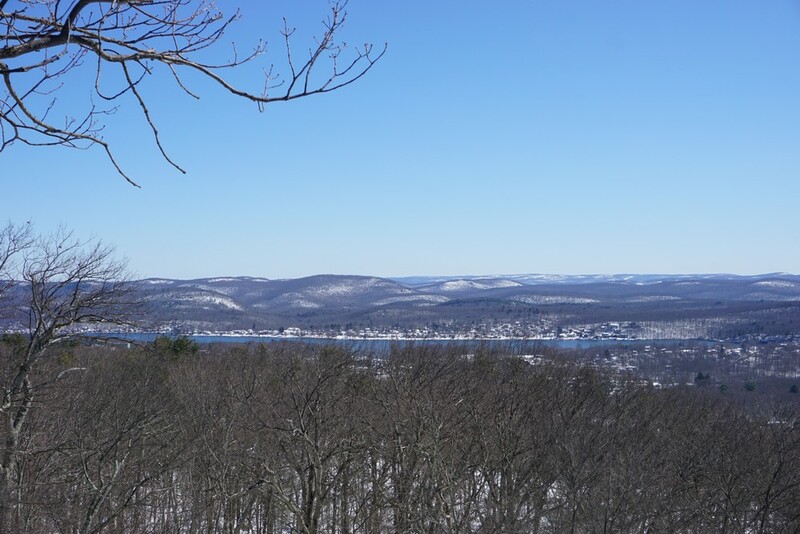 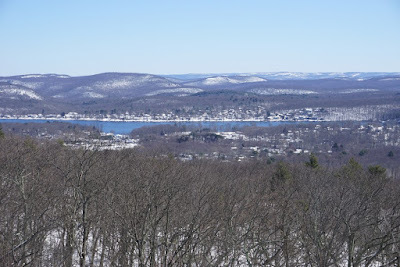 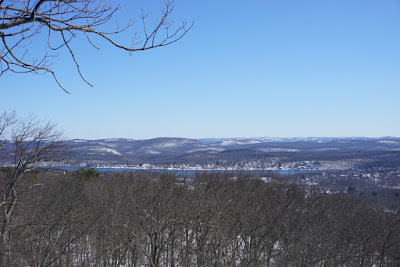 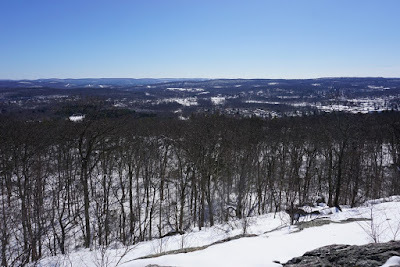 Bearfort Mountain is a long ridge in Northwestern New Jersey, extending north of Route 23 to to New York State Line near Greenwood Lake, where its name changes to Bellvale Mountain. 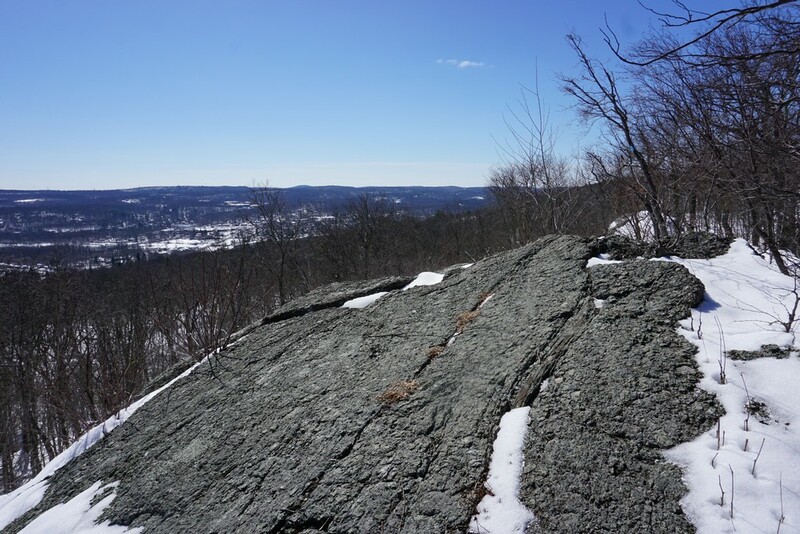 It features large rock exposures of puddingstone conglomerate, associated with dwarf pine trees, and many sweeping views. 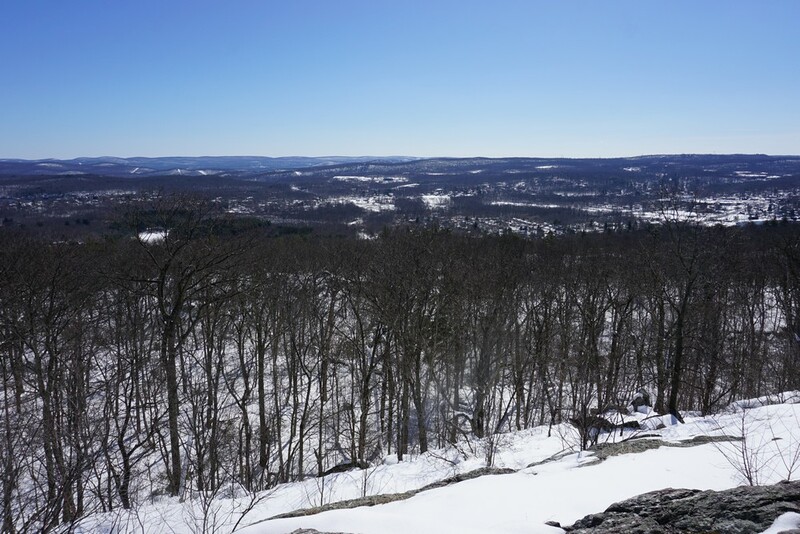 This area is among the most scenic areas in all of New Jersey. 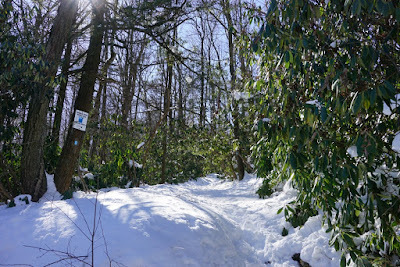 I had parked in the notch on Warwick Turnpike known as Woodruff Gap, where the trailhead begins. 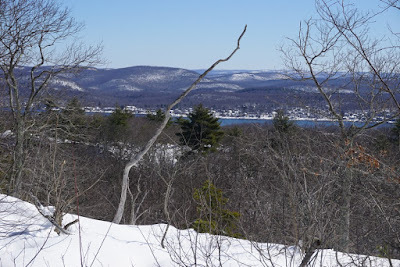 I took the Terrace Pond North Trail on its southern route, climbing the mountain first in an evergreen rhododendron forest, and then asceding to the ridgline where there are many sweeping views. 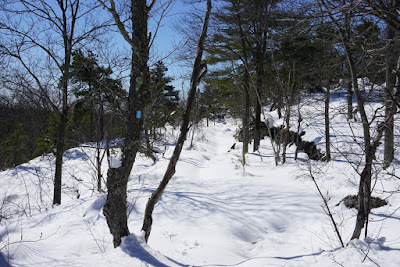 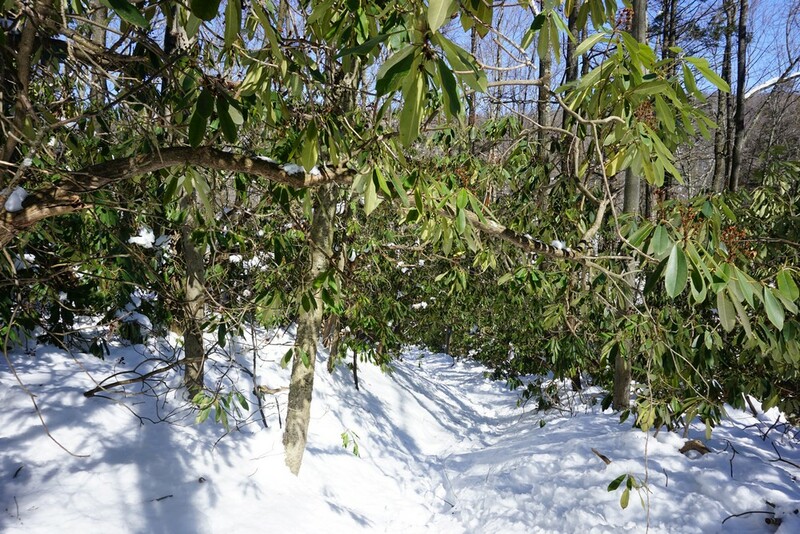 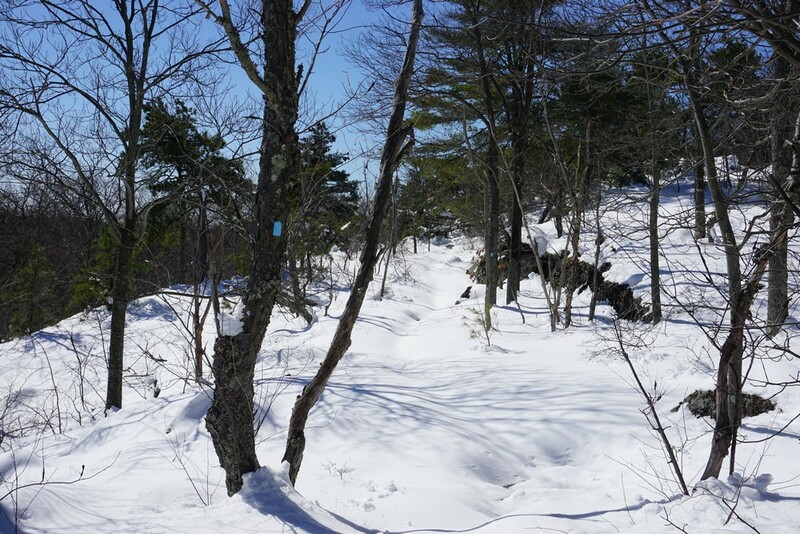 I had gone with my snowshoes due to the deep snow, and I noticed there were recent snowshoe footsteps ahead of me. 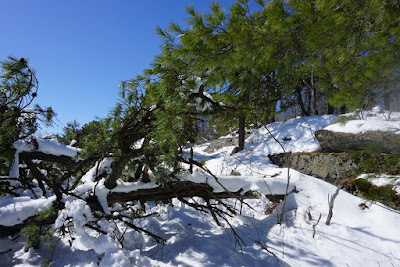 I actually met up with that person who started hiking shortly before me, and it turns out he is a trail maintenance blazer and was doing maintenance on the trail to clean up after the storm. I met him trimming some small trees that had fallen across the trail, and he was sawing them clean. We chatted for a little bit, and then I ascended ahead of him, leaving the first footsteps in very deep snow. 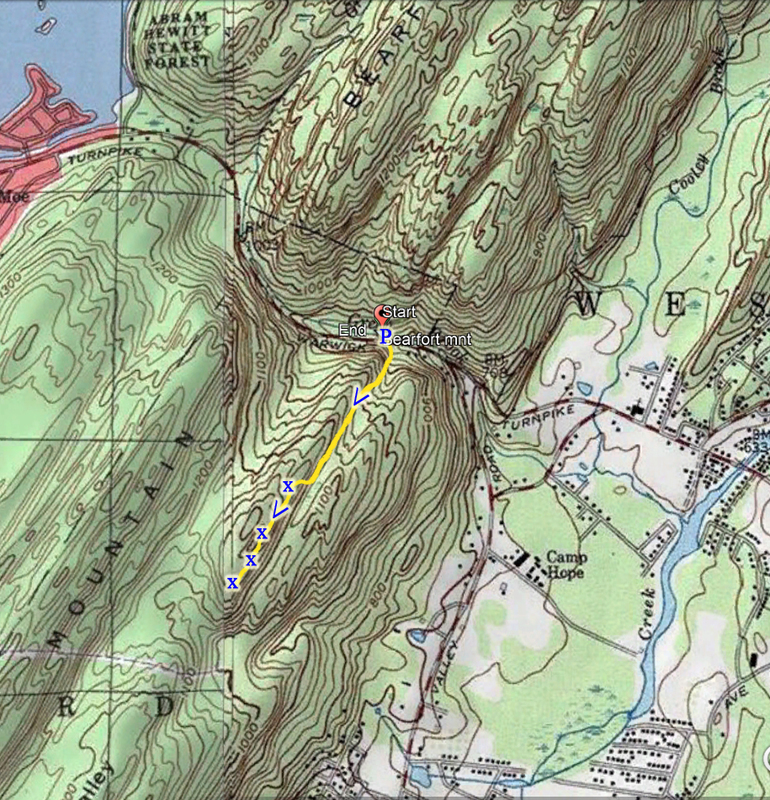 This, combined with the ascent, made this hike particularly difficult. 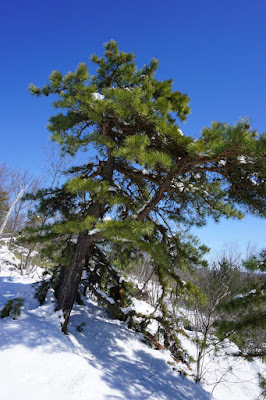 I met this nice chap again on my return route where he was successfully sawing a large Pine Tree that had fallen straight across the trail. 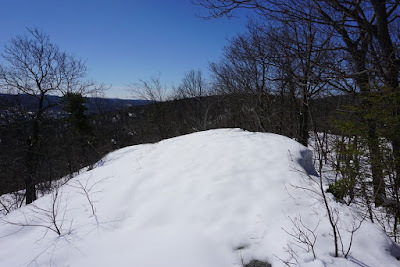 I took the Terrace Pond North Trail about 3/4 of a mile, to the point where it passes a large rock promenade and turns further up to main ridge of the mountain. 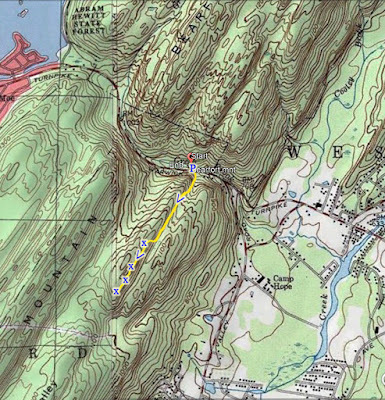 At this point, due to the difficulty of the hike, I turned around and went back the same route towards my car.